Guest post by Susie Finkbeiner. Be sure to leave a comment on this post to be entered in a drawing for her new novel A Song of Home, third in a trilogy about a young girl named Pearl Spence set in the 1930’s Dustbowl era. When I was a kid my mom often played her Simon and Garfunkel record while she cooked or we all pitched in to clean the house. The record was a recording of their 1981 reunion concert in Central Park and I knew the words to every single song. I still do, as a matter of fact. I’d dust the bookshelf and sing Kodachrome, sweep the kitchen along to The Boxer, fold laundry while humming the harmony of The Sounds of Silence. When Cecilia came on I’d drum my hands on the dining room table. But when Homeward Bound started, I’d feel the longing for home in Paul Simon’s voice. I’d tried to hide it, the way that song made me feel like crying. In case you haven’t heard it, the song is about a singer traveling around when all he wants is to go back home. I sure have felt that way throughout my life. If I had to guess, I’d say that I’m not alone in that. In the song, Paul Simon talks of home as the place where he’s able to let his mind wander, where the music of his soul lives, where the one he loves waits for him. He says nothing of the number of rooms or square feet in that home. Doesn’t mention the furniture or if it’s immaculately kept. The part of home that he misses is the atmosphere, the occupants. Several years ago I had the opportunity to travel several hundred of miles away for a big, fancy writers conference. All the BIG name authors were there. Editors and agents sat at the ready to meet with people like me; writers hoping to land a book contract. I didn’t have to cook, clean, or make my own coffee for three days. My showers went uninterrupted, no one woke me up in the middle of the night. It was like a vacation. A vacation that made me count down the hours until I could get back on the road back home. Home. Where my kids’ laughter bounces off the walls. Where hugs are given freely. Home. Where grimy fingerprints dirty piano keys and where – more than once – a toad was let loose in the kitchen. Home. Where my husband’s car magazines are stacked on the back of the toilet. Where we share meals at a table with mismatch chairs on chipped dishes. Home. Where we started this little family, my husband and I. Home. Where we pray together, comfort each other, love deeply, and try our hardest to trust God. And, even as cramped as we are in this home, I treasure it. As messy and chaotic as it sometimes gets, I cherish it. Because it’s here that we’ve grown together, the five of us. I still listen to Simon and Garfunkel while I clean. My kids are learning to appreciate them, even though their proving to be more Beatles fans (which I’m okay with). But now when Homeward Bound comes on it doesn’t rise up melancholy in me. Not anymore. These days that song gets me feeling quite content. Thankful, even. 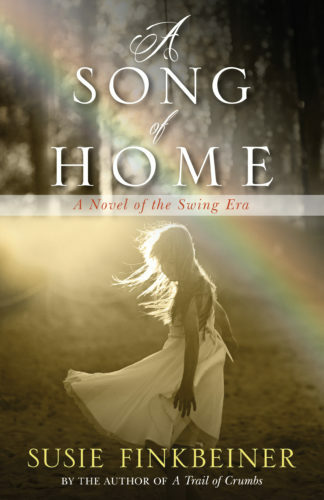 Leave a comment on this post and be entered to win a copy of A Song of Home. What does “coming home” mean to you? What gives you a sense of home and belonging? Susie Finkbeiner is the bestselling author of A Cup of Dust, A Trail of Crumbs, and A Song of Home. 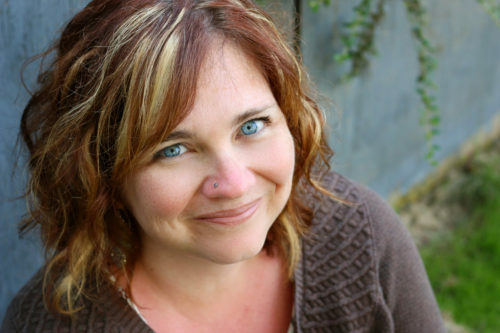 She’s a wife, mother, and novelist living the story in West Michigan. For me home is a lot of what you mentioned here- being together with my husband and children where we live life together as fully as possible and try to keep our eyes on Jesus and his blessings. I love that, Karen! Home is where family is. And Jesus is the ultimate foundation. I’ve been thinking a lot about the idea of “home” lately… especially since my home life growing up was not a bad place, but not a super nurturing place either… I think there was a lot of emotional “survival” going on for my parents, which rings true for pioneers and other families throughout the decades. I often realize that much of the fun, and food and experience we get to have in our home, with our kids, borders on “luxury” in a sense. We are certainly blessed and I constantly remind my kids of that! I love that you remind your kids of how blessed they are. Contentment and gratitude are both essential elements to making a house a home. I still have my parents. My siblings, their families and my husband, son and I plan on being at my parents for Christmas. Our daughter hasn’t been with us for more than 5 years(her choice). It leaves a huge void in my heart. For the first time in years I have peace and don’t hurt as much this year. We saw her after Thanksgiving and I told her how I feel when I don’t see her and she doesn’t come home. My aunt died last Fall and my cousins don’t have a home to go back to for Christmas. So I’m extremely for what I have and will enjoy Christmas. Oh, Julie. I truly hope that your daughter feels your love and that it draws her home. Interesting, Lynn! Maybe you need a road trip back to Lander! Ah. Yes. That sounds amazing, doesn’t it? I have moved 29 times in my life. With both my parents deceased, two husbands deceased, two sisters, two children and two step children that I only see about once a year due to physical distance my home is my church. Here for the last 18 years I find the love, acceptance, peace and joy that mean home. This book series looks so enticing! I would love to bury myself in this series this winter at ‘home’ by my fireplace and drinking hot tea. Now if that doesn’t sound like home! When I think of the word ‘home’ it means: comfort, safety, cozy and warm feelings, a place where I am always accepted for who and what I am.